Watford's head coach has now guided the club to their best ever Premier League points tally. It's been one remarkable campaign at Watford. Gloomy pessimism cast a shadow over Vicarage Road heading into 2018/19, yet the Hornets have once again defied the odds to embark on a joyride of relative success. An emphatic 4-1 victory over the newly-relegated Fulham ensured that Watford reached 46 points — one more than they accumulated in the inaugural campaign of this top flight stint in 2015/16 — to break their record Premier League return. With six games left to further their tally, and a FA Cup semi-final against Wolverhampton Wanderers to look forward to, it's safe to say the only way is up for the Hornets. 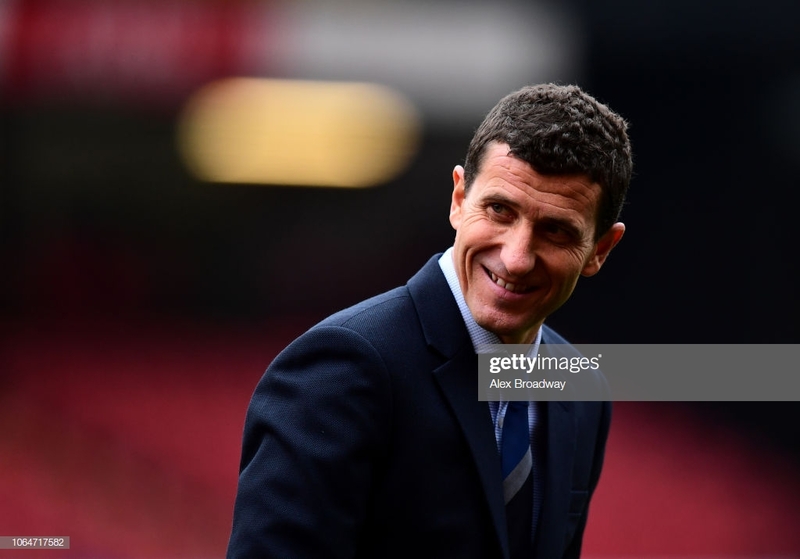 One man whose input has been an indisputable factor in the recent triumphs is head coach Javi Gracia. Investment was fairly modest in the summer, but the Spaniard has garnered the full capabilities of his Watford squad and is now reaping the rewards of his work. This season has been the odd one out within the quartet of campaigns Watford have spent in this Premier League stint. In the previous three, the Hornets would traditionally begin well, tailing off at Christmas before mustering enough results in the closing months to preserve their top flight status for another year. But 2018/19 has been different. Watford kicked off the season in perfect fashion, winning all of their first four games, and managed to avoid any kind of festive slump in a prolonged period of consistently good form, brought about by some exceptionally admirable performances. So easy it would be for the players to rest on their laurels, but the Hornets still have an abundance of accolades to fight for — alongside the Cup, a 7th-placed league finish is a possibility and could be enough to secure Europa League qualification — and Gracia insists the squad's demanding character will keep them fighting until the end. "There are many games left, some of them at home where we are feeling really well," he said. "It is something special for us, amazing to get to 46 points, the best amount of points in the Premier League — it's something special and a very good reward for all these players. "They were all working from the beginning and the players don't want to stop there. They want to keep getting more points. They are very, very demanding." Looks can be deceiving, and Fulham's position of 19th in the table was certainly unreflective of the threat they posed to Watford on Tuesday night. The visitors were powerless to resist Abdoulaye Doucouré's fierce early strike but responded eloquently in a game which they could not afford to lose. A 33rd-minute equaliser from Ryan Babel was the least the Cottagers deserved against the hosts, who found themselves on the ropes towards the end of the first-half. "Yes, I was angry at half-time. I didn't like what I saw. We didn't keep possession, we didn't find the right balance, we didn't adjust well in our movement." Gracia was once again faced with a managerial conundrum. One solution which has proved infinitely effective in recent weeks has been the introduction of Andre Gray from the bench — the powerful striker assisted two of Watford's three second-half goals to see the team sail to victory, but his head coach insists it was more than a mere matter of substitutions that won the game. "After, in the second-half, we felt better, we had more possession, created more chances, scoring more goals. That was they key to winning the game. "We changed two players, but not only that. It was important we adjusted the movement and the shape. In the first-half, we didn't keep the shape and didn't win a lot of the challenges. "We needed to adjust positions, movements and we made two substitutions. In that moment we felt more comfortable on the pitch and created better chances in the game." With the challenge of Fulham now a past affair, Watford can turn their full attention towards the visit to Wembley Stadium on Sunday, where they face Wolves in the semi-final of England's most prized knockout competition. Having fielded a full-strength side against the Cottagers, Gracia asserts that his players are now prepared for the grand occasion in the greatest way possible and will have sufficient time to overcome any fatigue that Tuesday evening may have created. "All the players are tried after the effort here," the 48-year old said. "I think the game was very, very tough in the first-half. Fulham played much, much better than us then, but as I said before the game, to win today was the best way to prepare for the next game. "The players have enough time to recover before the next important match."